At Barone Construction Inc. our philosophy is to build a superior quality home with no hidden surprises. We accomplish this by thoroughly reviewing all aspects of the job, writing a detailed contract, and providing top quality craftsmanship. We have experienced crews that work well together and we use the same subcontractors to insure our quality remains at its highest. 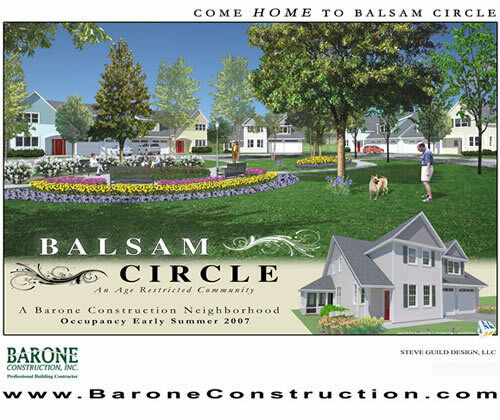 Click here for more information on Balsam Circle including floorplans and a price list.